"The stream invites us to follow: the impulse is so common that it might be set down as instinct; and certainly there is no more fascinating pastime than to keep company with a river from its source to the sea"
The 42-mile (67 kilometre) fully waymarked Sussex Ouse Valley Way was developed by the 'Per-Rambulations' core team of Terry Owen and Peter Anderson with the support and encouragement of the East and West Sussex County Councils and the Sussex Downs Joint Committee (then the Sussex Downs Conservation Board). Support for the project was also received from the Sussex Ouse Restoration Trust, Harveys Brewery of Lewes, Footprints of Sussex and Ray Mears, the bushcraft expert, TV presenter and author. The Way traces the River Ouse and its valley from quiet beginnings close to Horsham to reach the English Channel at Seaford Bay through the rich diversity of the Sussex landscape. It passes through some of the most beautiful scenery in England including the High Weald Area of Natural Beauty at the start and the Sussex Downs Area of Natural Beauty towards the end. It takes in the very diverse landscape of Sussex. There is also abundant wildlife: in the air, on the ground and in the river. History too has not passed the valley by. Beneath the mostly quiet exterior there are echoes of national events and the development of man. The Way is very favourably featured in the February 2006 edition of the magazine Country Walking where it is called a "wonderful walk" and summed up in the words, ...."if you want a long weekend strolling through scenery that is the embodiment of quintessential England, the (Sussex) Ouse Valley Way is a hard trail to beat". The Way was officially opened on 30th April 2005 at the start of an inaugural walk. Christopher Sedgwick, Vice-chairman of West Sussex County Council, cut the ribbon to launch 110 walkers on their way. The walkers celebrated their successful conclusion at the John Harvey Tavern in Lewes where they were greeted by Norman Baker, MP for Lewes, the Chairman of East Sussex County Council, Daphne Bagshawe and Rod Crocker, the Mayor of Lewes. 'Per-Rambulations' have published a well received 72 page guidebook in colour to which Ray Mears has written the foreword. In addition to its maps and route directions the guidebook attempts to set the scene for the Valley and place it in a historical context. A second edition was published in 2012. A series of fifteen Circular Walks based on the Sussex Ouse Valley Way have been developed and are now available. A sixteenth Circular Walk 'The One that got away' was added to the collection in 2010. Go to Circular Walks. 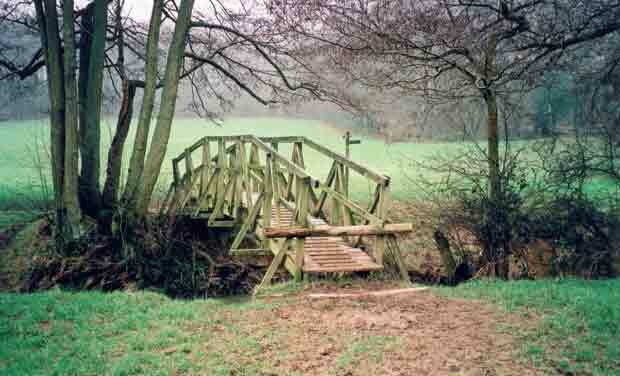 In 2007, HF Holidays, a company who have been organising walking holidays throughout Britain, and more recently worldwide, began to offer the Sussex Ouse Valley Way as a fully guided walking holiday based at their country house at Abingworth, Thakeham, West Sussex, a reflection of the success of the Way since it was opened in 2005.